Senators reaffirm the state’s end-of-life law in 2015. Updated at 10 a.m. Friday with comments from Attorney General Bill Sorrell and Compassion & Choices Vermont State Director Linda Waite-Simpson. A local and a national organization have combined forces to sue the state over its 3-year-old end-of-life law that allows qualifying terminally ill patients to seek a prescription to hasten their deaths. The Vermont Alliance for Ethical Healthcare and the Tennessee-based Christian Medical & Dental Associations filed the lawsuit Tuesday in federal court in Vermont. They argue on behalf of several Vermont medical professionals that being required to offer patients the option of assisted suicide violates their religious or ethical beliefs. “They share a reasonable fear of this being imposed on them,” Aden told Seven Days. The law, titled Act 39, does not require medical professionals to write a lethal prescription or assist in the patient’s death. But state officials have interpreted the law to mean that qualifying patients must be informed of the option. Compassion & Choices Vermont, which helped push the 2013 law through the legislature, defended a patient’s right to know their options under Act 39. The lawsuit lists the Vermont Board of Medical Practice and the Vermont Office of Professional Regulation as defendants. The two entities are responsible for sanctioning non-complying medical professionals. The lawsuit names several medical professionals who say their rights have been violated under the law, including: Dr. Rachel DiSanto, a family practitioner in Newport; Dr. Brian Kilpatrick, an internal medicine and pediatric physician in West Pawlet; Lynn Caulfield, a registered nurse who practices in northern Vermont; and an identified pharmacist. Aden said they are not available to comment on the case. The lawsuit does not spell out any specific instances in which those medical professionals felt compelled to inform a patient about Act 39, but Aden said the suit will include more specifics at a later date. 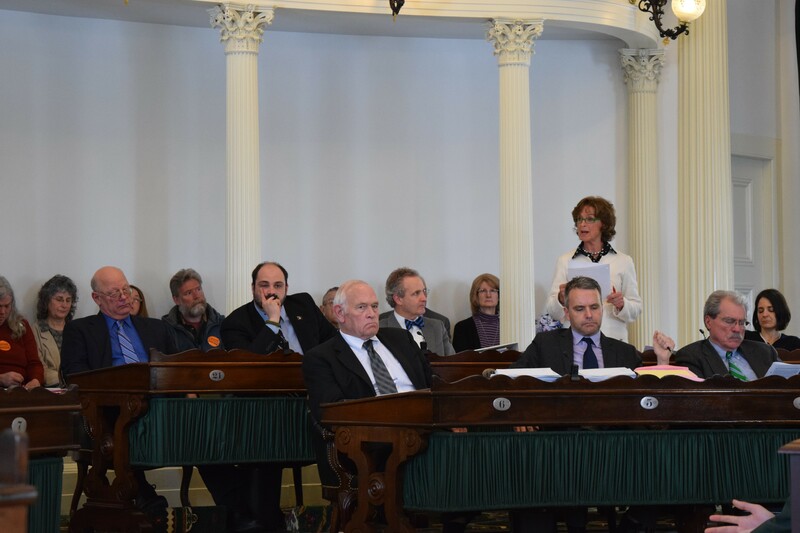 The Vermont Alliance for Ethical Healthcare, which represents doctors, nurses, pharmacists and other health care professionals, argued against passage of the law in the legislature. *Correction, July 22, 2016: An earlier version of this story misidentified one of the attorneys involved in the lawsuit. His name is Steven Aden.